Even though we have a few avid Minnetonka wearers in the studio, somehow this collab escaped our attention until now. 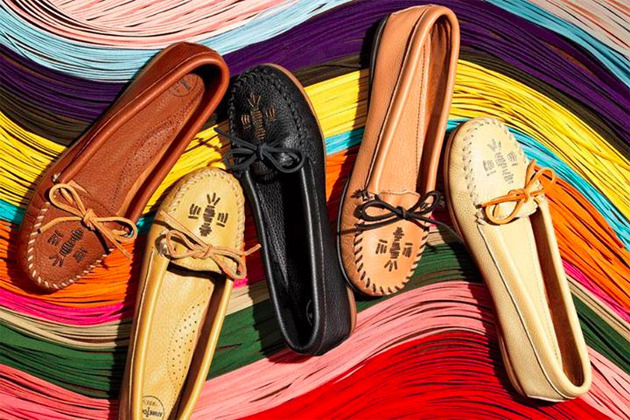 Melissa Coker, the designer behind festival chic line Wren, partnered with the iconic, Minnesota-based brand to reimagine the classic Thunderbird style using leather and metallics. They took the collaboration one step further and made a music video with Brooklyn group Guards using a sixties-festival-in-a-field inspired theme. Brunch has become a social institution for many city folks, making it just as much of a place to see-and-be-seen as going out at night. Why not take it one step further and merge it with fashion and design? 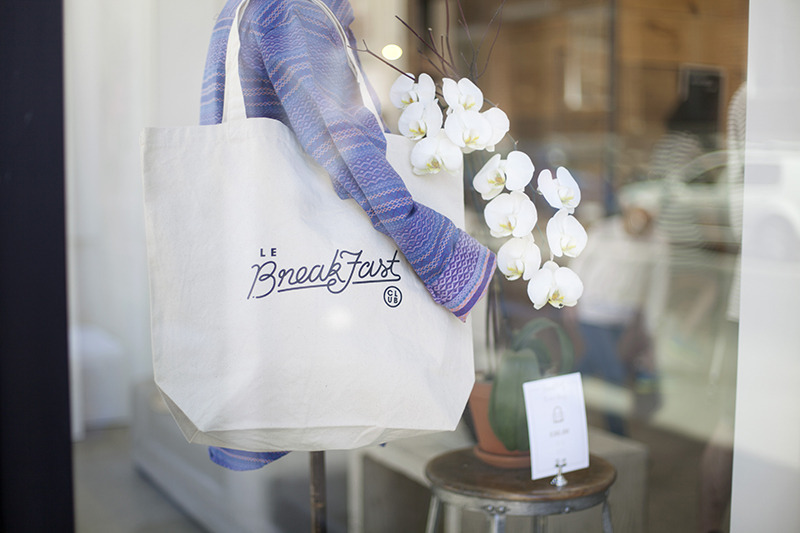 The husband and wife design duo, Danny Demers and Diane Garcia, of Garcon Garconne contacted Montreal menswear shop Ecole Militaire, to create a partnership of food and design with Le Breakfast Club. Every first Sunday of the month, friends and clients of the boutique connect over pancakes, coffee and orange juice. We just discovered this fabulous blog a few days ago with this terrible/hilarious online dating cautionary tale circulated around the Internet. Natalie Joos is a Belgian-born casting agent and consultant who, according to one post I read, acquires a lot of bizarre and wonderful tales as someone who has to scout out anything from gangsters to Russian women on the streets of New York. This blog merges her passion for vintage style, fashion and storytelling.